People have used molds for glass casting from ancient to modern times. These molds were most often made of sand, special plaster, metal, or graphite. The graphite and metal molds were expensive to produce and required specialized equipment. Making graphite or metal molds in the home glass studio was out of the question. Plaster molds were the only option available to the studio artist. However, making a good plaster mold is a skill that takes many years to hone with many - often expensive - failures along the way. 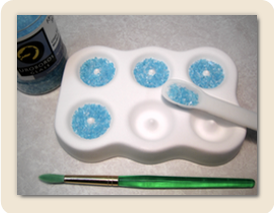 In 2002, Craig Smith made his first glass casting mold. Not only was it reusable, it was designed to be produced in large numbers. To our knowledge, we were the first to introduce reusable, ceramic mold technology to the art glass casting marketplace. Design. Each of our designs is a carefully sculpted original taking into account not only aesthetic, but technical considerations. We truly want the people who buy our molds to not only be inspired, but be successful. Quality. Our molds are produced in art potteries using a specially formulated ceramic body. They are fired in carefully regulated kilns. Each mold is inspected before it is packed. Innovation. We realize that most people who work with glass are inquisitive and are eager to learn new techniques. That is why we have a commitment to be innovators and prove it by bringing a constant stream of new products and techniques to the market. Colour de Verre is located in Portland, Oregon. 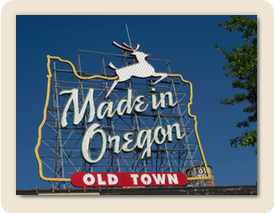 All our molds are produced in the Pacific Northwest.